Carteret NJ Lawyers- Personal Injury, Criminal & Employment Law - Aiello, Harris, Marth, Tunnero & Schiffman, P.C. 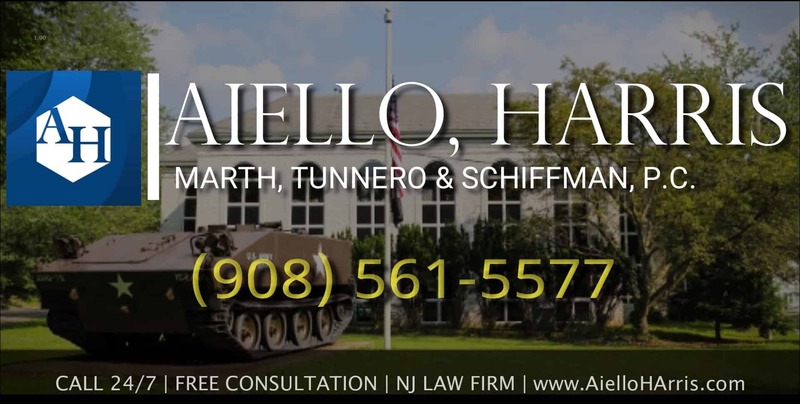 The Carteret lawyers of Aiello, Harris, Marth, Tunnero & Schiffman, P.C provide experienced legal counsel to the residents in Carteret in a variety of practice areas, including personal injury claims, employment matters, real estate transactions, family law, and workers’ compensation claims. 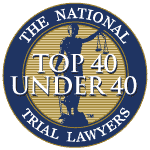 Our Carteret attorneys have been featured in several national and local outlets including ABC, The Star-Ledger, 1010 WINS, CBS, and the New York Post. We are proud to serve the residents of Carteret as we provide support, guidance, and legal advice in a compassionate and confidential environment. 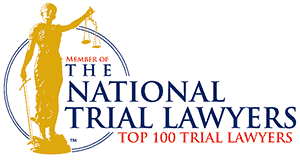 Our lawyers understand that you might be hesitant to contact a large nationally recognized firm. However, we assure you that our attorneys and legal staff are dedicated to providing personalized service to each of our clients, regardless of the size or type of case or where the client resides. We believe our case results speak for themselves. We recently won a $1.3 million settlement in a slip and fall claim. In our criminal defense division, we assisted clients in having DWI charges dropped and a charge of refusing a breathalyzer dropped. Contact our office by calling (908) 561-5577 or use our online contact form to schedule a consultation with an attorney in Carteret who can help you with your legal matter. 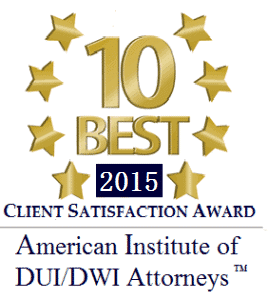 Learn how our law firm’s expertise, resources, and skill can help you win your case. 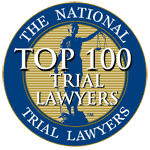 Motor Vehicle Accidents — Automobile accidents, large truck accidents, motorcycle crashes, and bicycle accidents are just some of the traffic-related accident cases that our Carteret accident attorneys handle. If you are injured in a vehicle-related accident, call our office to discuss your right to compensation for your injuries. Medical Malpractice Claims — When a doctor, health care facility, or other health care provider causes an injury, the provider should be held liable for injuries and deaths resulting from medical malpractice. Let our Carteret medical malpractice lawyers help you seek justice for yourself or your loved one who was injured because of medical malpractice. Premises Liability Claims — Property owners have a duty to provide a safe environment for guests and visitors. If you fall in a store, parking lot, hotel, resort, government facility, or while visiting other private or public property, you may be entitled to recover compensation for your injuries in a slip and fall claim. Wrongful Death Cases — When a wrongful act causes a death, the family of the deceased may recover compensation for damages from the party who caused the death. Our Carteret wrongful death lawyers can help you seek justice for your loved one and your family through a wrongful death lawsuit. 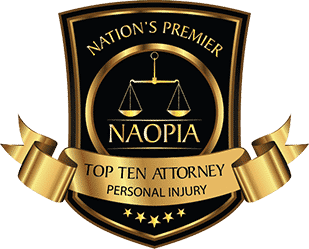 The list of personal injury cases we handle is extensive. We invite you to visit the personal injury page on our website for more information or call (908) 561-5577 to speak with a representative. Impaired Driving Charges— Driving while under the influence of drugs or alcohol is a serious crime in New Jersey. Convictions for DWI and DUI crimes carry significant penalties, including jail time, fines, probation, and loss of driving privileges. Before you plead guilty to a DUI charge, contact our Carteret DUI attorneys to discuss your options for a legal defense to DWI charges. Violent Crimes— Our Carteret defense attorneys represent clients facing a variety of violent crimes, including domestic violence, simple assault, resisting arrest, and murder. Convictions for violent crimes could result in significant prison sentences and loss of legal rights. Drug Offenses— New Jersey prosecutors and law enforcement agencies are serious about pursuing and prosecuting drug crimes. You do not want to face a judge alone when you are charged with a New Jersey drug crime. Contact our Carteret drug crimes attorneys to discuss ways we can help you defend yourself against drug offenses. Theft Crimes— If you are charged with shoplifting, credit card theft, embezzlement, larceny, or burglary, you could be facing some very serious consequences if you are convicted. We urge you to contact our Carteret theft crimes attorney before you talk to the police or a prosecutor about your case. We can help devise a defense that protects your legal rights. You can see a complete list of criminal charges our attorneys handle on our criminal defense webpage. You may also call (908) 561-5577 for more information. Harassment— Harassment at work can take several different forms, including discrimination, retaliation, sexual harassment, and threats. Our Carteret harassment attorneys can help you file a claim or defend a claim for workplace harassment. Employment Contracts — Whether you are an employer or an employee, employment contracts can help define the responsibilities and duties of each party. Our Carteret employment law attorneys help employers and employees with several issues related to employment contracts, including drafting contracts and handling breach of contract issues. Immigration Issues— Our Carteret immigration attorneys handle a wide variety of issues related to immigration law. If you need help with employment-based immigration issues, Visa applications, deportation defense, or naturalization & citizenship matters, call our office to speak with an attorney. Please visit our employment law webpage or call our office at (908) 561-5577 if you have any questions related to employment law or immigration matters. Aiello, Harris, Marth, Tunnero & Schiffman, P.C. is a full-service law firm that represents clients in Carteret and the surrounding area; you can visit our nearby office in Woodbridge. You can find more information about our law firm on our practice areas page or by calling (908) 561-5577. You may also use our online contact form to request additional information or to schedule an appointment with an attorney in Carteret. Carteret is located in Middlesex County. The borough’s motto, “The Center of It All,” reflects the area’s location in the heart of central New Jersey. Carteret has benefited from several redevelopment initiatives that have attracted even more people to this lovely area that is just a short ride from Manhattan. With a population of almost 24,000 people, the area is small enough to provide residents with a “small town” feel while also boasting a diverse collection of arts, entertainment, and educational venues. Because the borough is located just off the New Jersey Turnpike (Interstate 95), the area is a popular stop for travelers searching for a unique place to visit and stay in central New Jersey.